One of my favorite treats EVER is chocolate. Oh yea, I’m definitely a choco-holic! What I don’t like about eating chocolate, especially when working or browsing the internets is getting it all over my hands. That’s why I normally go for a bag of milk chocolate M&M’s and if I’m feeling extra crazy I’ll go for some peanut M&M’s! 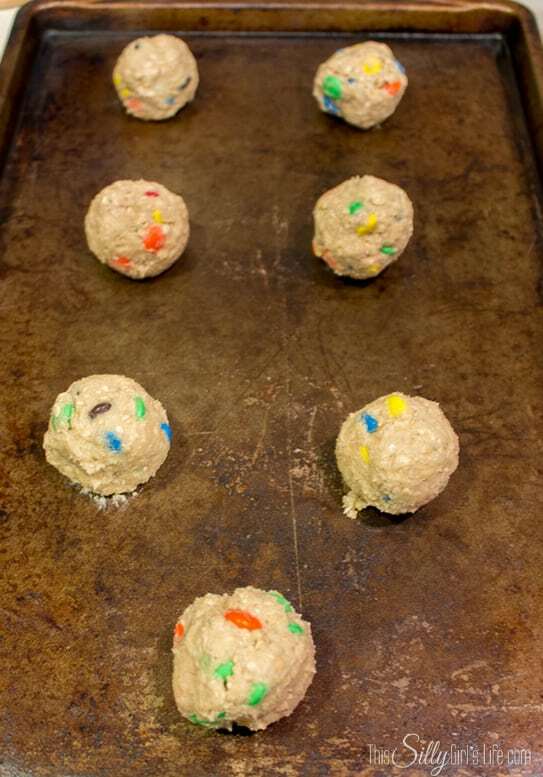 I’ve been in the baking mood these past couple months and I really wanted to pair one of my favorite candies into my baking routine! That’s how these beauties came about! 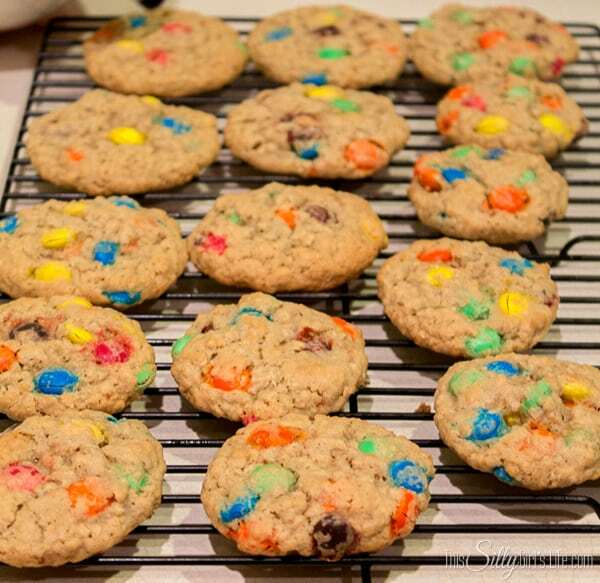 What I love about baking with plain M&M’s are they really fit well into any kind of situation. 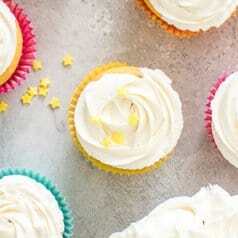 From just snacking, to office party recipes or class party recipes! 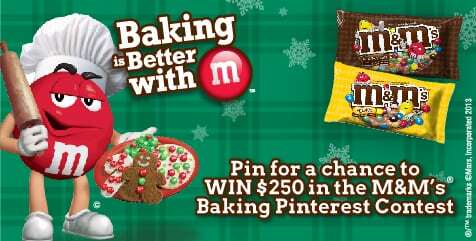 Of course you can use any kind of M&M that you like! When doing my weekly shopping trip at WalMart I picked up this bag of M&M’s for my cookies. Thankfully I already had all the other ingredients at my house, so these were very inexpensive to make! 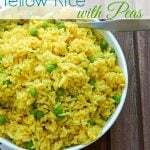 The recipe is adapted from the recipe found on the quick oats container. Heat oven to 350 degrees. In a bowl combine the flour, baking soda and salt, mix well and set aside. With a hand mixture, beat butter and both sugars until creamy. Add eggs and vanilla and mix well. Add the flour mixture in batches until thoroughly combined. Add the oats and mix. Add the M&Ms and combine. I had to take a spoon to mix in the M&Ms at the end because the mix is very thick. Bake for 10-12 minutes or until lightly golden brown. Take out of oven and let cool on cookie sheet for a minute. Using a spatula take cookies off the cookie sheet and let cool completely on a wire rack. 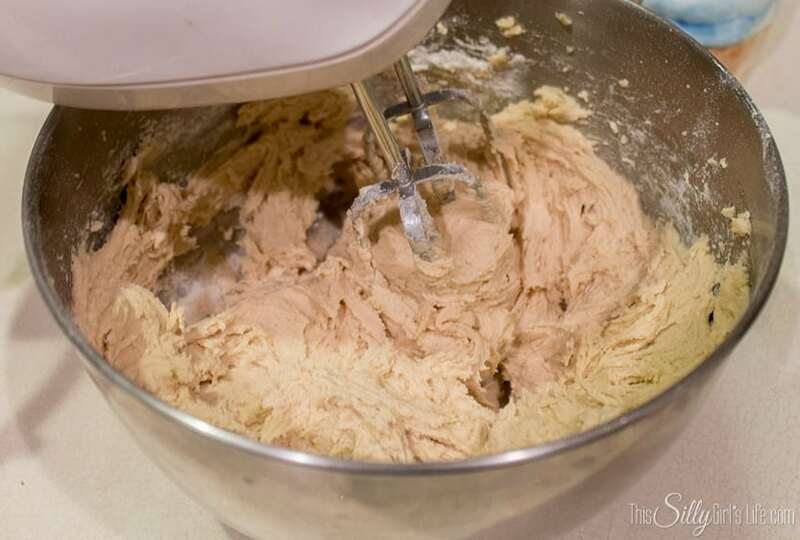 With a hand mixture, beat butter and both sugars until creamy. Add eggs and vanilla and mix well. Add the flour mixture in batches until thoroughly combined. Add the oats and mix. Add the M&Ms and combine. I had to take a spoon to mix in the M&Ms at the end because the mix is very thick. See how easy these were! I hope you enjoyed this recipe! 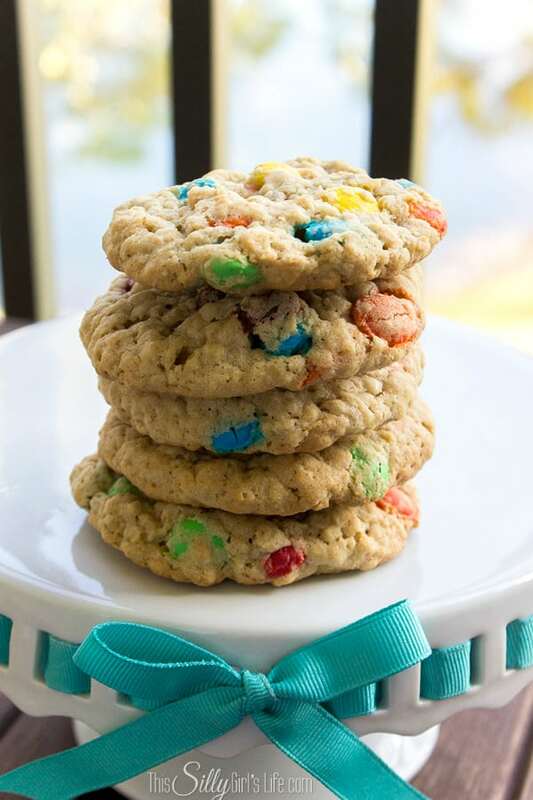 Let me know in the comments what your favorite treat is to make with M&M’s! Looking to connect with Mars M&M’s? They have super cute updates with their well known M&Ms characters! Those look great. 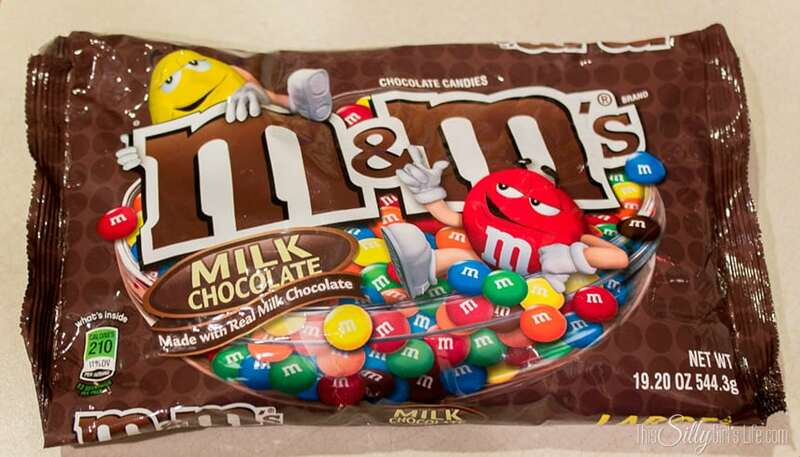 I would like to try them with my favorite M&M: peanut butter! 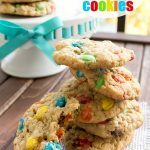 This recipe would be a great Christmas cookie with red and green M and Ms. Very kid friendly. Thanks for sharing. Going to pin you recipe so I don’t forget. 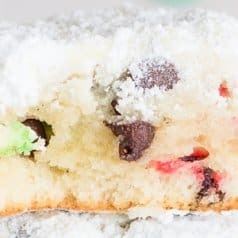 Saw this recipe on the Not Just a Housewife Link Share and had to check it out. 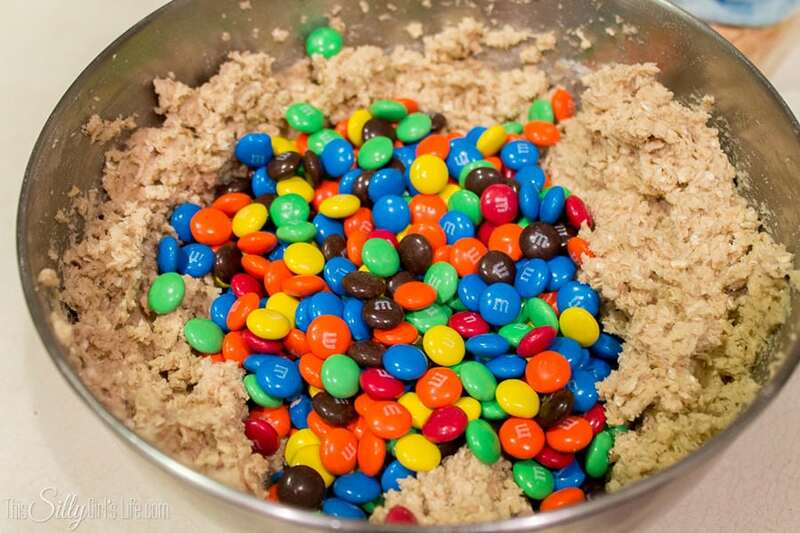 Love the combination of oatmeal and M & Ms!!! 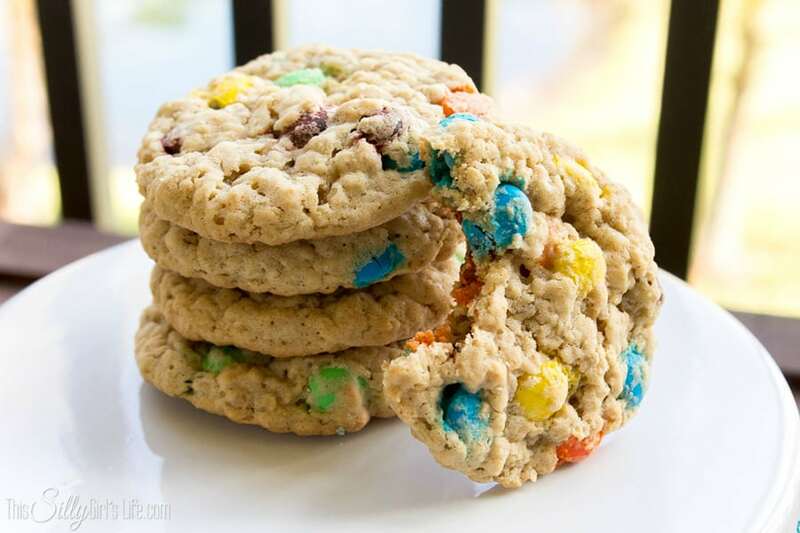 Your oatmeal cookies look so fun! Thanks so much for sharing at Simple Supper Tuesday, this week. Cookies look delish! Pinned too 🙂 Thanks for linking to Snickerdoodle Sunday! This is a great combination of two awesome desserts. I’ll have to try different kinds of M&Ms. Thank you for linking to the In and Out of the Kitchen Link Party. Hope to see you next week. I love M&M’s. I have two bags in the pantry so I will be making them tomorrow. Thanks for the recipe. Yummy! They look so tasty, but the colors are really the star of the show, aren’t they? I can imagine everybody wanting to snap up one of these. Great recipe! 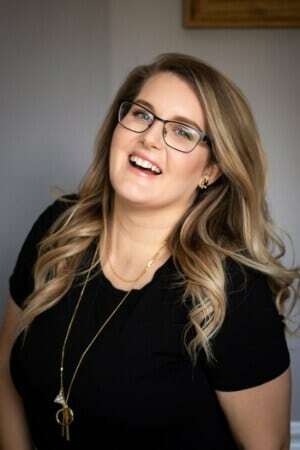 Thanks for linking up at Link It or Lump It this week! You just can’t go wrong with chocolate. Well, I suppose you can if you pair with fish or something, but who would do that! 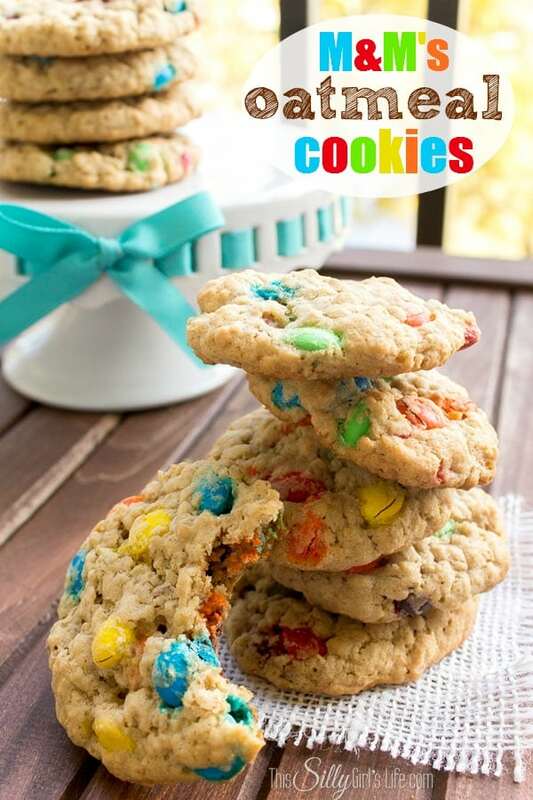 🙂 Anyway, LOVE M&M cookies! Thanks for linking up to Gingerly Made’s Show & Tell. 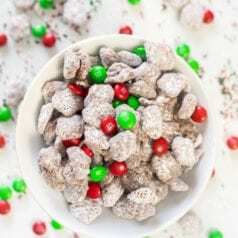 Hello, I am partaking in a cookie exchange next weekend and i would LOVE to make these.. i need to times this recipe 10 times. my question is how many cookies does one batch make? I’m sorry I wish I could tell you exactly. I’m trying to get better with yields and such. Since this was posted a while ago it’s extra hard for me to guess. I think it was about 2 dozen of these large cookies. It’s definitely not less than 2 dozen, so I’m sure you will have plenty times the recipe by 10! Thanks so much for asking, I hope your cookie exchange goes well!